Royal Domesticity by Denise Rayala: I Should Have Named Her Julie. Or Julia? Who, you ask? Sophia. I know I should be sleeping now since I need to wake up by 7:30ish in the morning tomorrow later to cook breakfast for me and the little one. Yup, after 3 weeks of being together with my breakfast-eating soldier, my tummy now looks for something else aside from Nescafe 3-in-1 coffee in the morning. Okay, not really that early. I actually set my alarm clock (phone!) to 8am but I usually get up around 8:15. Right, right. That's me. I'm not a morning person. Is 12:41am considered morning? Midnight? Whatever. I just don't get those people waking up too early reasoning out they could do so much by such but ending up sleeping a lot in the afternoon. Hello, what difference does it make? Well, most of my WORK requires being at home so I could do it any time I want. Or in some cases, when this little snoring duchess is busy, asleep or in school. Better if asleep; no disturbance, just a cute, tiny snore. So, I'm not into hitting the sack yet despite a basket full of laundry, which I gave my years of experience into earlier. I started washing our family of five's dirty clothes at 5th grade. Get this, without continuous run of water! If that's not passion, I don't know what it's called. Note to self: you got too much segue. Get down to business. And what exactly kept me awake? Aside from some neighbors by-standing outside, meaninglessly wasting their lives and time talking about some old man getting drunk who didn't eat his dinner (is that eavesdropping? 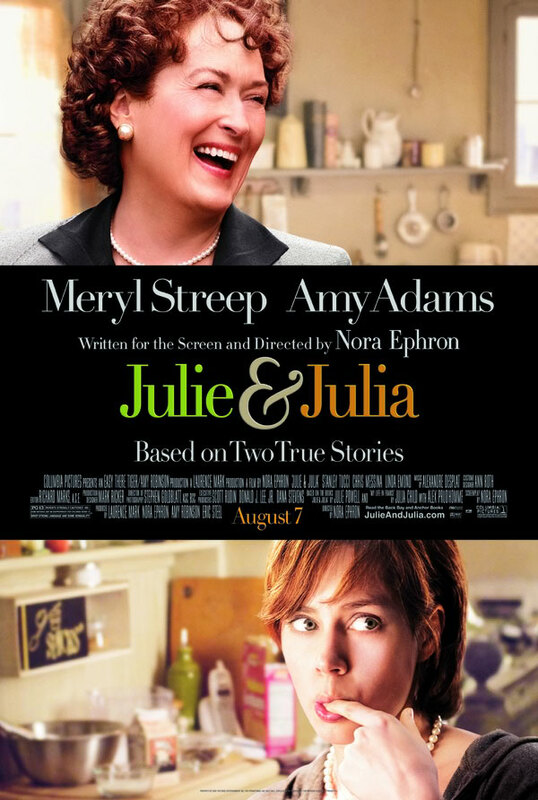 ), it's Julie & Julia. I sincerely loved the movie. I was hooked!